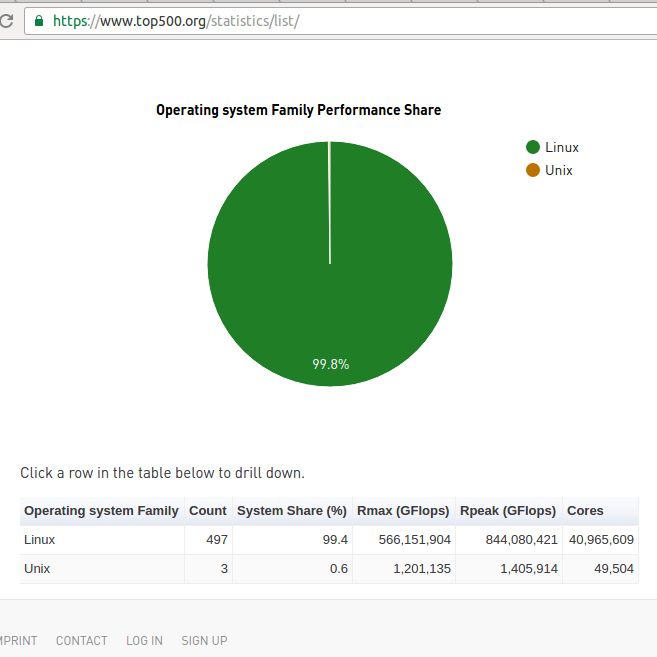 According to https://www.top500.org/ in June 2016 Linux family has gained the usage up to 99.4 % as Operating System for Super Computing platform or HPCC. 497 out of 500 top super computing platforms in the world uses Linux Family Operating System and the left 3 out of 500 super computers are using Unix Operating System. The software to check the computational power of super computing platforms as floating point “FLOPS” called High performance LINPACK. Next: Next post: Canonical Livepatch Service Apply critical kernel patches without rebooting.